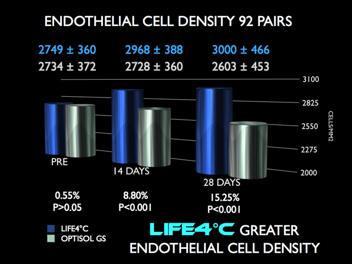 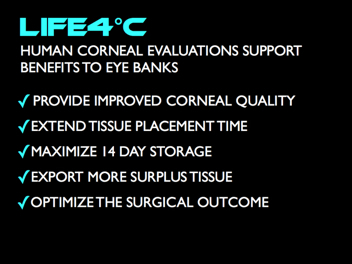 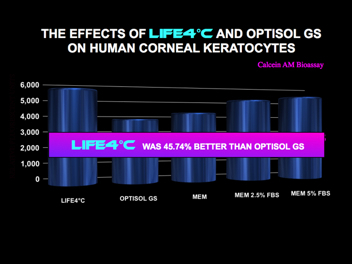 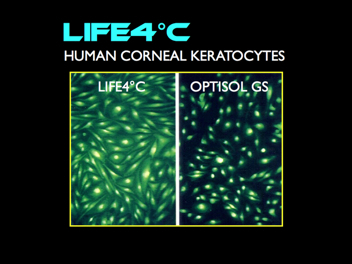 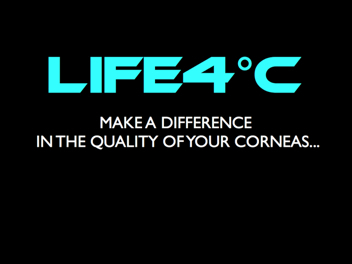 LIFE4°C is an advanced, high-performance corneal preservation solution designed for today’s eye banking needs. 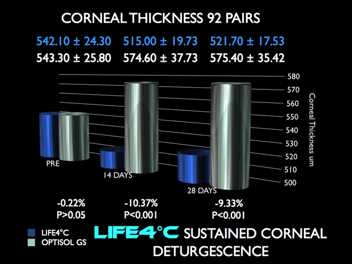 • 30 ml volume for greater nutrient availability and reduced waste-product concentration. 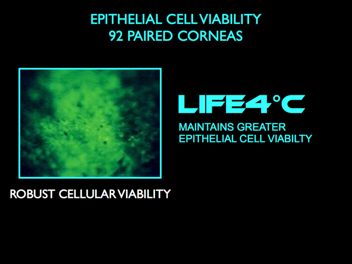 FDA cleared. 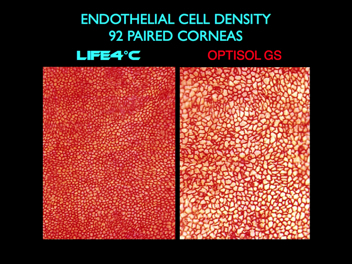 All data has been reviewed by the FDA as part of a 510k submission. 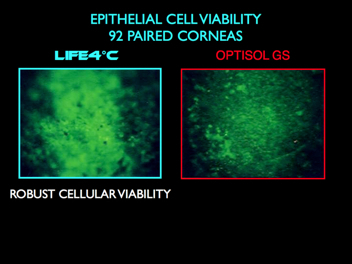 All studies were conducted under GLP regulations. 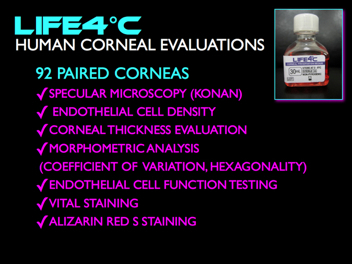 US and Foreign Patents and Patents Pending.